Yasssssss we all know that the key to fitness goals, is patience, consistency, prep and definitely hard work! This statement is particularly true for anyone who wants to build and reshape their bodies and or in this case, BOOTY. For Ecto-Booties (building Volume & Curves) specifically, it’s a process. It states in the program, that it can take anywhere from 2-6 months, even up to a year to see the optimal results that you crave. All the tools needed to stay on track and continue the program are provided in the Bootybuildingbox. Karissa for example was so happy after the 8 weeks because she did notice a difference at that point, however after 12 weeks of redoing the program sticking to the food and workouts she’s now noticing an even bigger difference; “Life Changing”. 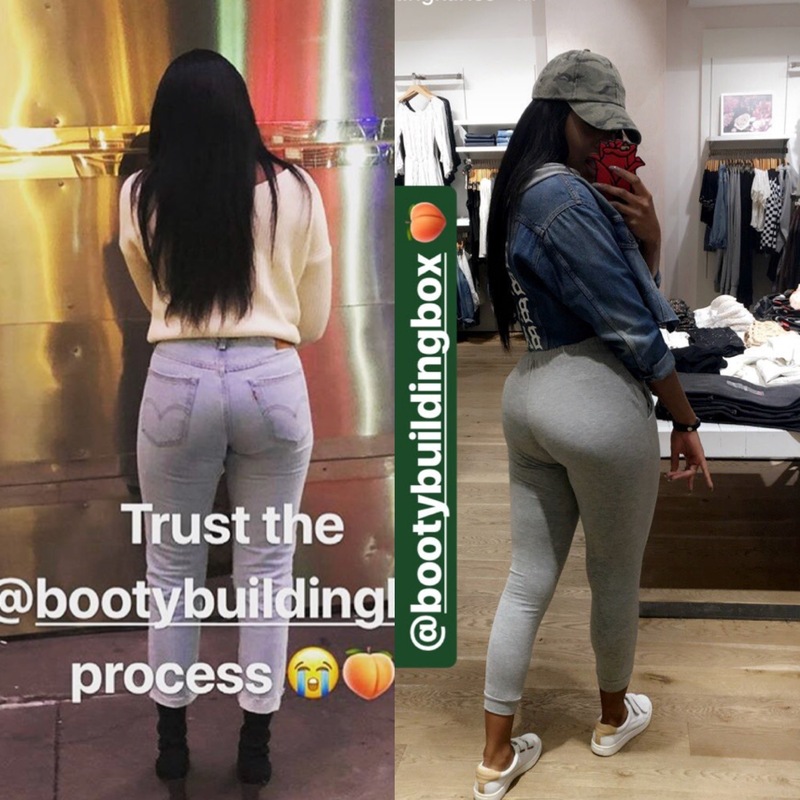 The Bootybuildingbox Programs are all meant to build Strength, build Confidence and Control. It explains the Science of fitness so you can understand how to make changes to your figure. These programs give you tips and tricks that aren’t talked about on the mass market. Certain things like having protein right after you train is a no no if you’re trying to build, you actually need to restore glycogen first before anything. Plus the importance of the timing of your foods, especially before and after your training sessions. These little secrets add up and make for some incredible results! Build the Booty you’ve always wanted today!